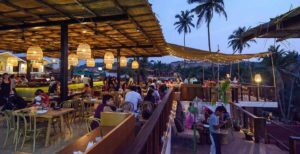 Wind Horse Records is back with its annual edition of The Wind Horse Experience “Neon Grooves” in Goa. 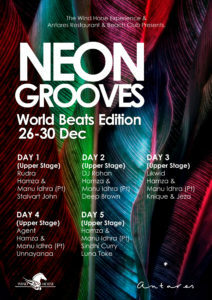 The annual gathering will be a world beat edition. 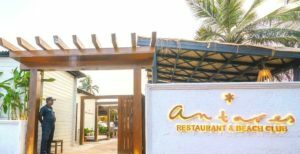 The Neon Grooves will be happening at one of the coolest venue is Goa “Antares Restaurant & Beach Club Vagator, the event is stripping away all the embellishment surrounding the genre and recreating the real essence of house music on Indian shores. 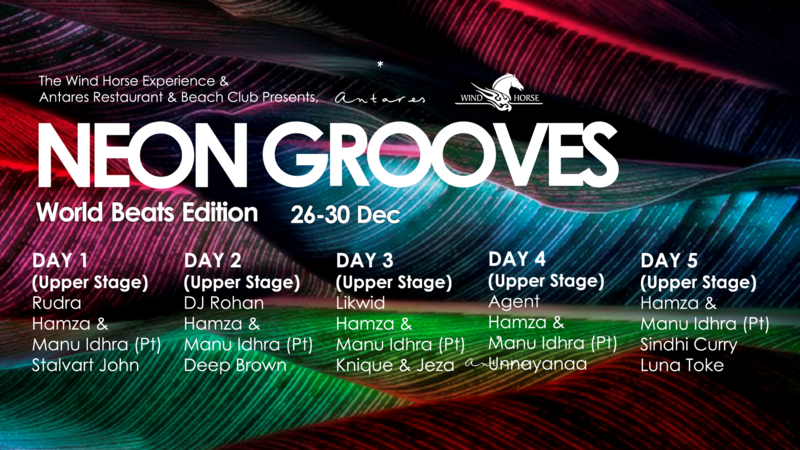 Spread over five days between the 26th-30th of December, the lineup features an array of exemplary locally based DJs and producers like Rudra, Hamza, Manu Idhra, Stalvart John, DJ Rohan, Deep Brown, Likwid, Knique & Jeza, Agent, Unnayanaa, Sindhi Curry, Luna Toke. 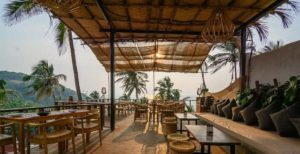 These are the few surviving house music soldiers who still wear the badge with pride and are expected to breach Vagator beach for some serious dance music. There will be lots of Disco, Nu Disco, Latin, Afrobeat and Ethnic among a generous supply of Jackin House. All the DJs are gonna play a 3 hour long set, So the journey is gonna be great. 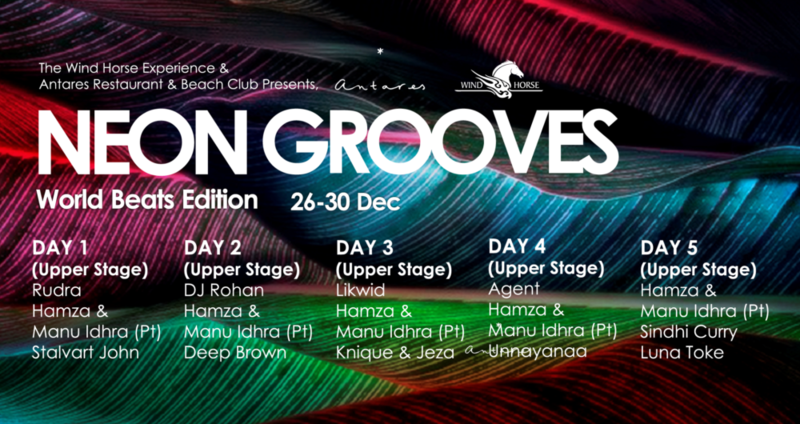 A great alternative to overcrowded and gimmicky music festivals, Neon Grooves should be the perfect place to indulge in some year-end hedonism. If you’re a real house head, you don’t want to miss this one.